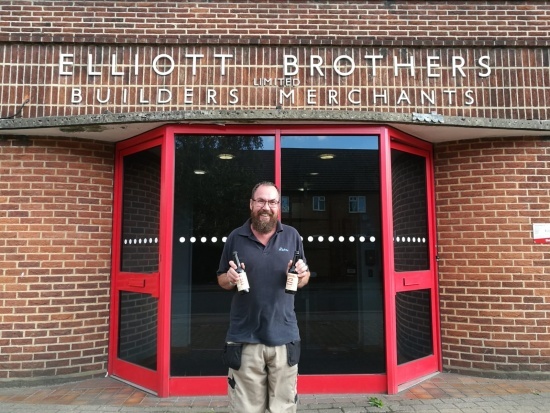 Did you win a crate of Elliotts 175 pale ale? Back in the summer we ran a competition to give away five crates of our exclusive Elliotts 175 pale ale. It was the perfect competition. You didn’t need to do anything. You just entered your details and you were in with a chance of winning free beer from your favourite builder’s merchants. Here’s some of them collecting their prize. We hope you enjoy opening a cold one. Don't miss out on other competitions! Sign up to our news & offers email today.